Display bath salts and body scrubs in this apothecary styled 300 ml frosted plastic jar with cork style cap made from compressed wood. 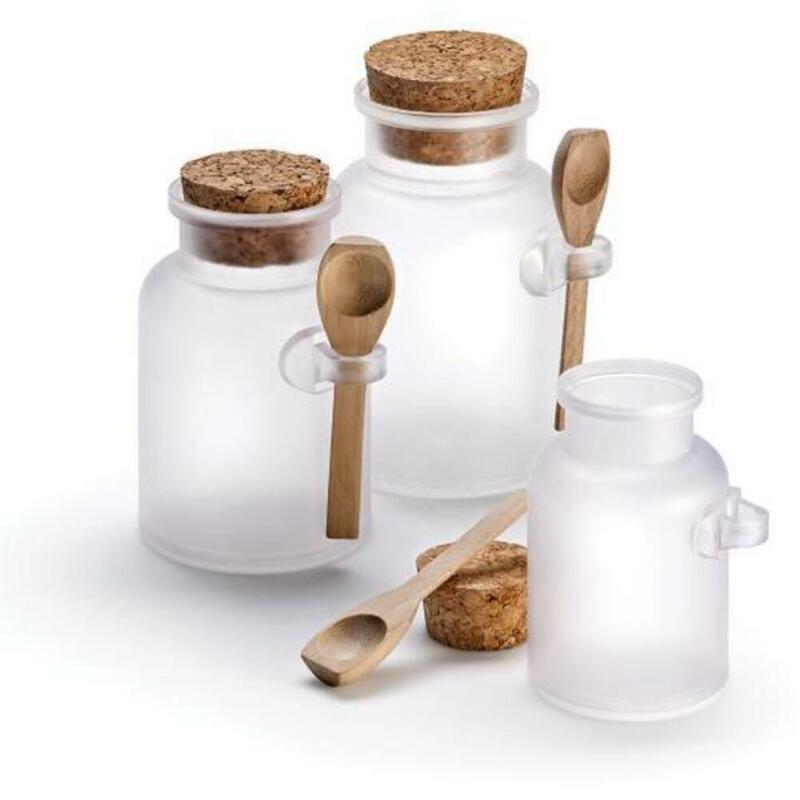 The jar comes with a petite wooden spoon that can be easily stored on the side of the jar. The spoon measures 1 gram, 1 ml, .03 oz. ; 3.54 inch (90 mm) and the overall height of the jar measures 4.8 inch (122 mm).